Three hooded males were captured on various cameras trying car doors and peering into basement windows along Ashburnham Place and Ashburnham Grove this morning - Monday 28th January - between the hours of 00:23 and 03:15 today. They were obviously looking for vulnerable properties / cars to break-in to. Don’t let them easily get your valuables. Ensure you car is locked when you leave it and DO NOT leave ANYTHING on display in your vehicle. Also, I have just been advised there was a burglary in Brand Street where entry was made via the front door. PLEASE ensure you bolt your door at night. Entry can be made easily via just a Yale lock. 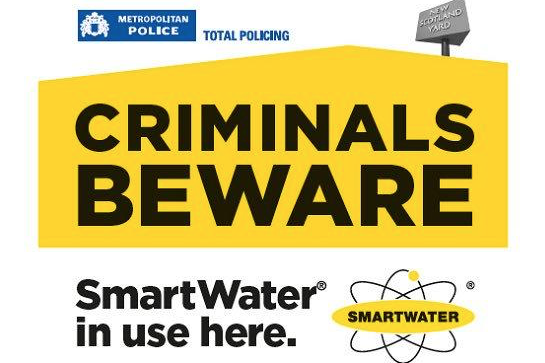 Can I also remind you that we are trialling SmartWater in the Triangle this Saturday, 2nd February. There are still kits available to reserve. Please email me if you would like one - ata.secureteam@gmail.com.